Is Lexus About To Bring The Axe Down On The GS? A Japanese magazine seems to have picked up on a rumor we certainly aren’t happy to hear. Our test drives with Lexus’ finest have usually proven to be nothing short of pleasant and rewarding, but there have been one or two times where we are left scratching our heads wondering why Toyota’s luxury line decided to approve a certain car for production. The best example we can think of is the GS, especially since the ES ranks alongside it. However Lexus Enthusiast, citing a report from Japanese magazine MAG-X, claims that the GS may soon get the axe. 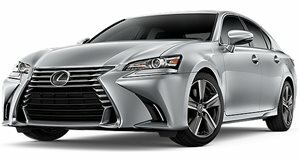 We’d like to point out that Lexus Enthusiast warned readers that the rumor is unsubstantiated and could be nothing but hot air, however an Automotive News article from 2011 that detailed how the current GS almost didn’t make it to market and seems to give evidence that the sedan’s very existence has been the cause of internal debate at Lexus. According to the MAG-X article, the reason Lexus put the development of a replacement GS on hold is because of the new LS. Given that the LS has had its engine downsized from a V8 to a V6, there is no longer enough of a difference between the two products to justify building two different cars. Instead, Lexus is hoping to fill the gap left by the GS with the LS. In general, GS sales have never been incredibly strong, partially because the front-wheel drive ES is cheaper and satisfies most buyers’ demands for a mid sized luxury sedan from the automaker. Part of the reason the next-gen GS is on hold may have to do with focus being turned to debuting the UX crossover, however, the report also states that there’s a possibility that Lexus will replace the GS with another car entirely. This new vehicle would take a completely different approach to what the automaker has done in the past. We’re a bit conflicted about this as the GS gives a more traditional offering to the midsize luxury sedan segment for buyers who don’t want a front-wheel drive vehicle. We’d also certainly miss the GS F, which falls a short of competitors like the BMW M5 and Mercedes-AMG E63, but could get more powerful with the addition of Lexus’ new 600 horsepower V8 that will sit in the LC F. As Lexus Enthusiast points out, axing the GS would also leave a huge gap between the IS and LS in foreign markets where the ES isn’t sold. Hopefully these rumors are soon proved false with an announcement from Lexus itself.